You guys! This Dress is a dream! It seriously hugs the curves and I absolutely love the scalloped detail around the edges. I decided to pair mine with the sexiest little black heels ever and a red lip. I always love the classic look of a simple black dress paired with a red lip, don’t you? I wore this dress on a date with my husband the other night and he couldn’t keep his eyes (or hands) off of me! haha… Its always fun getting dressed up for date night but it is also fun feeling like a million bucks in a dress that hugs in all the right places! Do you agree? The Prettiest Floral Cardigan For Spring! Hello My Loves! Lets talk about the biggest trend in clothing right now, florals! I have loved seeing this trend everywhere, it seems to be splashed all over dresses, shirts, pants and even shoes! I wore this cardigan to church the other day and river wouldn’t stop telling me how much she loved it and how beautiful she thought that I looked in it. She is so dang sweet and also kept pretending to smell all the flowers! Do any of you have little darlings that are as obsessed with this cute trend as my little River Roo is? Essential Oils. It’s become, almost a buzz word in the past couple years. LOTS of people are interested in the support essential oils can provide for themselves and their families. Understandably so! When I first started using oils, I thought people were perhaps, a little cooky. Then I tried a few. Then a few more. And before long? I was drinking the kool aid. I LOVE OILS! My love led me to a few different companies, but I was a little put back by the structure of the companies producing the oils. I wanted GOOD quality oils, lower cost, and didn’t want to mess with the hassle of “signing up” or meeting a monthly order quota. I’ll be honest. 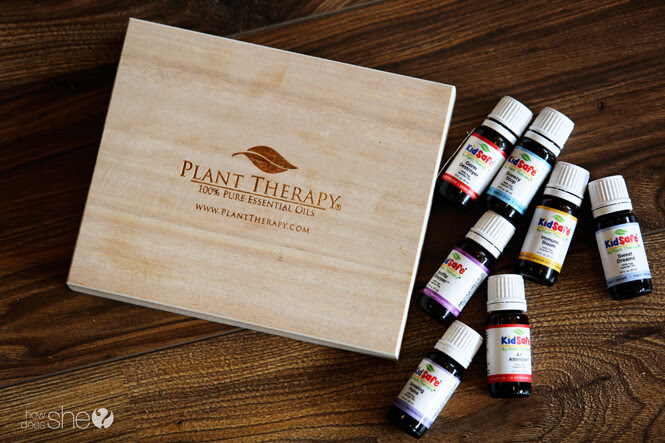 I think there are several different brands of oils that produce a good quality oil, but Plant Therapy has quickly become my favorite. Great quality oils based on much research (I encourage you, if concerned, to research this company and how they obtain their oils. If you’re into knowing that stuff!) Amazing price points. No direct sale structure. You can actually go TO this company’s website and buy well price oils directly. No run arounds. Another specific reason I love them is due to their “KID SAFE” line of oils safe for kiddos. You DO have to be careful when using oil on children and I feel like this company really addresses this concern well with their Kid Safe line. If you’re a newbie to oils, it’s important to first note, these aren’t an “end all” to every ailment. They’re not going to magically cure ALL your ailments, but they do help to support your health and relieve symptoms. When you think about it, oils have been around FOREVER. Think about the history of Christ’s birth. Remember what the wise men brought? Yep. Frankincense and Myrrh – both oils. Back then, people didn’t have the access to nor the ability to create some of the medicines we use now. They would use natural products to help. I’m all about modern medicine; however, if there are ways to find relief in a more natural way, of course I’m going to exhaust those options first. I can whole heartedly saying, using essential oils has been a blessing to our family. I totally get why people feel it can be a bit overwhelming to start using oils. There are so many and you can literally spend HOURS/DAYS researching the different uses. I wanted to provide some very basic information that is easy to apply to your own life. 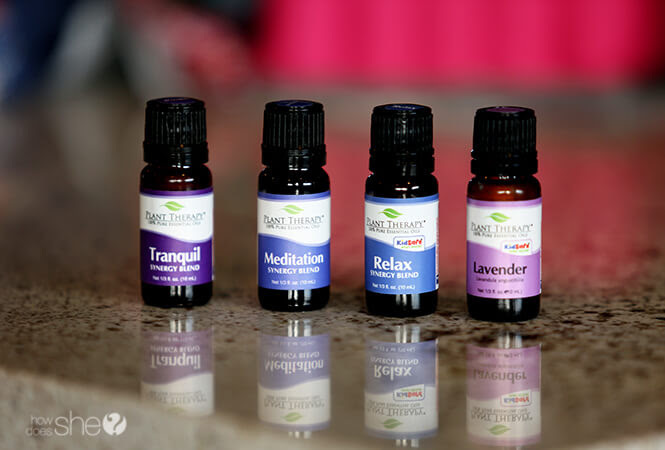 I am NO expert; however, these essential oils are most used in my home and they are an excellent starting point for someone experimenting or new on the essential oil journey. Here are the oils I use most in my home in no specific order. I do encourage you to look at each oil and note any suggestions for administering. For the most part, you can either 1) Diffuse into the air via a diffuser 2) Administer topically, usually using a barrier oil. Lavender – Maybe you’ve heard of Lavender being a sleep aid? It’s true! Ever notice lavender potpourri satchels? Lavender bed spray? Even Lavender pillowcases? Lavender helps to relax and supports deeper sleep. I often diffuse this in my own, or my children’s’ bedrooms at nights and we ALL sleep better. I’ve also put one small drop on the outside of my babies’s onesie to help relax her. It works like a gem! It can also be used to soothe skin issues such a sunburn. Lemon – I love using lemon in cleaning. A few drops down a stinky garbage disposal. A few drops diluted in water to freshen my counter tops. Lemon is a go-to in our house! I think it smells SO much better than any store bought cleaner. It refreshes and energizes as well! Immune Boom (Kids Safe)/ Immune Aid – This is probably one of my favorite oils. It supports healthy immune systems and I have it diffusing ALL WINTER LONG or any time I think my kids might be coming down with something or have been exposed to illness. I have no science to prove my belief in this oil, but what I can say is that my children have been CONSIDERABLY, and noticeably less ill since and when I have use this oil. Sniffer Stopper (Kid Safe)/Resper-Aid – If you have littles, it seems like they are OFTEN having respiratory issues. Snotty noses. Coughs. It’s all a part of being a little kid; however, this oil can help SO much. The Respir-Aid I have used often on myself when I catch the same colds. It’s great to use in a diffuser OR I also put it on my kids’ feet with socks over at night. Relax Synergy – A synergy oil is actually combination of a few oils. I adore this Relax Synergy oil for myself. It provides emotional support – which I can never get enough of. Really though, as a mom of 5 young children, I often find myself a little overworked, stressed and anxious. I’ll put some of this on my inner wrist and breathe deeply. Sounds crazy maybe, but IT HELPS! It’s grounding! Our bodies respond to these scents! Tea Tree Oil – Tea Tree oil is another widely known and used oil. Don’t be surprised if you find it listed in the ingredient list of your shampoo or even face wash. It’s great for skin issues such as teen acne. It’s also great to use in refreshing the air. Peppermint – This was a lifesaver during my pregnancies. I suffered from HORRIBLE nausea which resulted in constant vomiting. Although this oil didn’t STOP my nausea, when I would sniff it, I often found my vomiting curbed. It is also FANTASTIC for headaches. Apply a little (diluted, as it can sting your skin) to your temples or behind your ears, and find relief! I know a lot of migraine sufferers that are finding some relief using peppermint. Go Go Go – I have one child who REALLY struggles with mornings. This is an issue considering he needs to be OUT the door by 7:30 each morning. This oil is energizing. Sometimes, I’ll start diffusing it his room an hour before he has to wake up, or massage a little on his feet, and I find he responds much better than without it. The citrus scent assists in the energy level. I’ve also seen people put a couple drops in their morning bath to give them an extra boost. There are a few things that I feel have really made this whole “oil business” a lot easier. Fractionated Coconut Oil – This is my favorite barrier oil. You use it to dilute oils that might otherwise be harsh to the skin. Rollerballs – I love these for convenience. Each oil which needs to be diluted states so on the bottle. You can combine a barrier oil with an essential oil and have these roller balls ready to go at any time. Don’t want to make your own? Plant Therapy also offers PRE MADE and PRE diluted roller balls HERE or Kids Safe HERE. Diffuser – This is a MUST HAVE. Put water and a few drops of whatever oils your heart desires, and diffuse all day and night! I have one in every room of my house. You can buy some cheaper diffusers on Amazon. I will warn you, some work awesome…for awhile, but many aren’t built to handle the pure essential oils. I find they build up residue and often don’t last AS long, but again, they are a bit cheaper and they DO work. I own a few. Another note is many of the less expensive ones are smaller. These are great for small rooms, but if you want to fill a larger area, go with one of these. Carrying case – I actually just recently purchased this on Amazon. 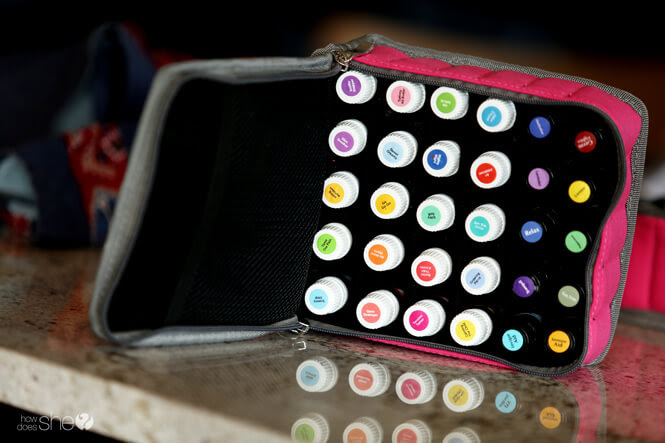 I love this carrier because it keeps me organized, and makes it easier to take my oils along with me. It holds 30 oil bottles. Essential Oil Book – If you’re really interested in supporting your health with oils, I recommend this book. IT’s definitely more in depth, but will help you know what oils to try for different ailments. I hope that gives you a very basic crash course on oils. The best part is, if you want to try one or two, you can buy directly from the website, at a lower cost. No strings attached. Making it a simple and dare I even say, FUN process. You can see what works for you and your family. Let me know if you have any questions!